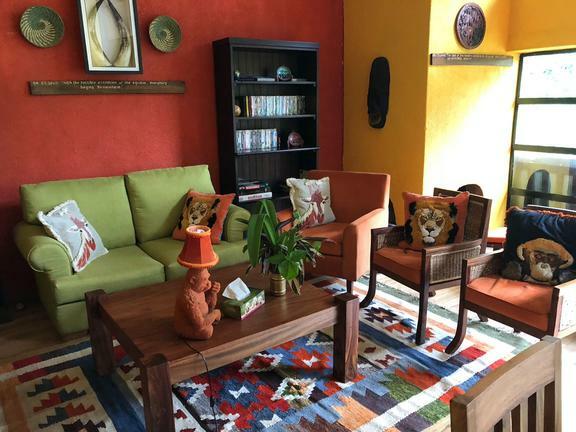 Papyrus Guesthouse is set in beautiful gardens in a green part of Entebbe and is located only 10 minutes drive from Entebbe International Airport. The colonial style building with its 15 comfortable guest rooms offers everything you need to enjoy your stay. 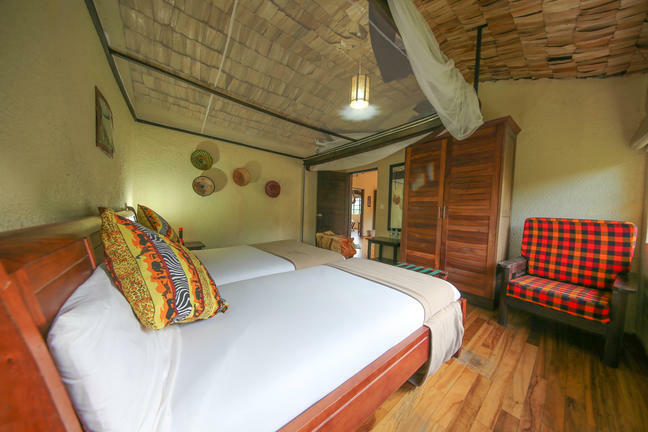 All 15 rooms have en suite bathrooms and are equipped with either twin or double beds (according to your preference). 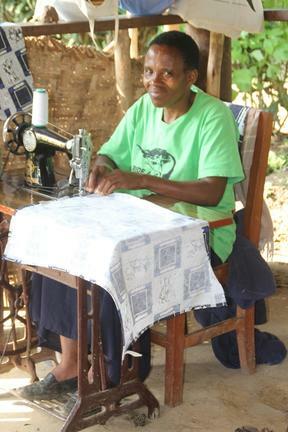 Mosquito nets and high quality mattresses ensure a peaceful night's sleep. 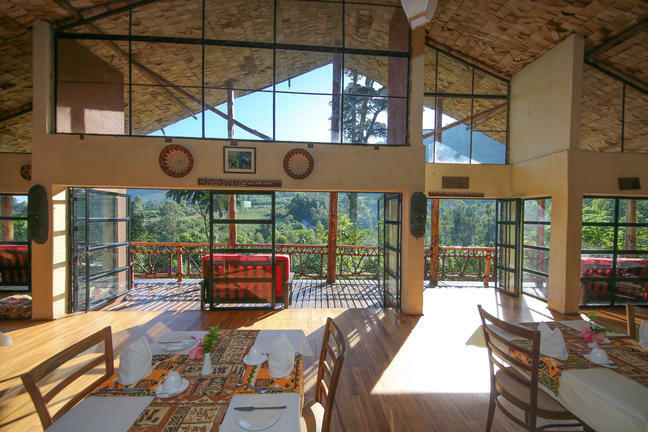 Facilities at Papyrus Guesthouse include free Wi-Fi, an on site restaurant, a garden and more. 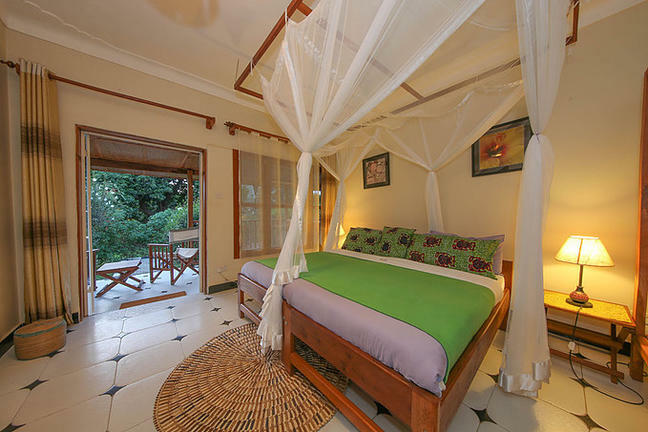 The 9 Garden Rooms are situated among'st the lush gardens. 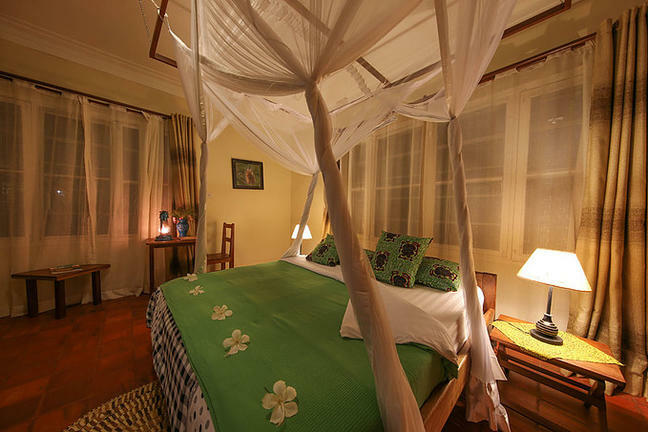 The rooms are spacious with large bathrooms and verandas for sitting outside and enjoying balmy equatorial weather. The 6 standard rooms are all en-suite and are situated in the main house. 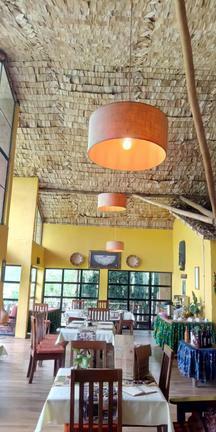 They are spacious and beautifully decorated using local Ugandan art. 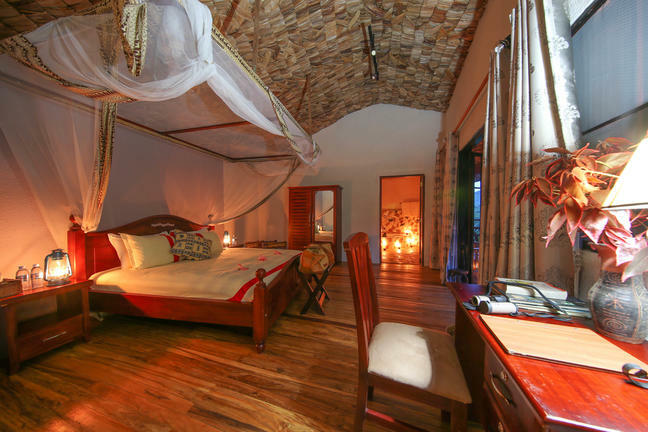 Rwakobo Rock is a peaceful and secluded retreat, situated in the pristine Ankole ranchlands surrounding the park, where you can breathe in the essence of wild Uganda. The 8 comfortable and spacious cottages are dotted around the hill; offering both privacy and great sunset views. The main dining area, sitting area and pool all have fabulous views of the park. 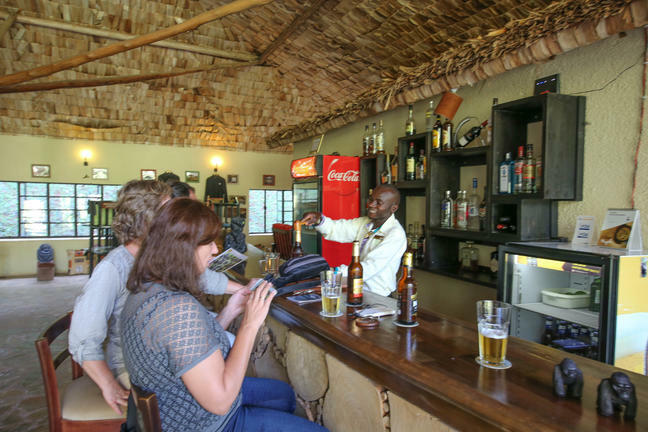 Whether you want to sit back, sip on an ice-cold drink in a hammock or head out into Lake Mburo National Park for a day of exciting exploration, there is something for everyone here. 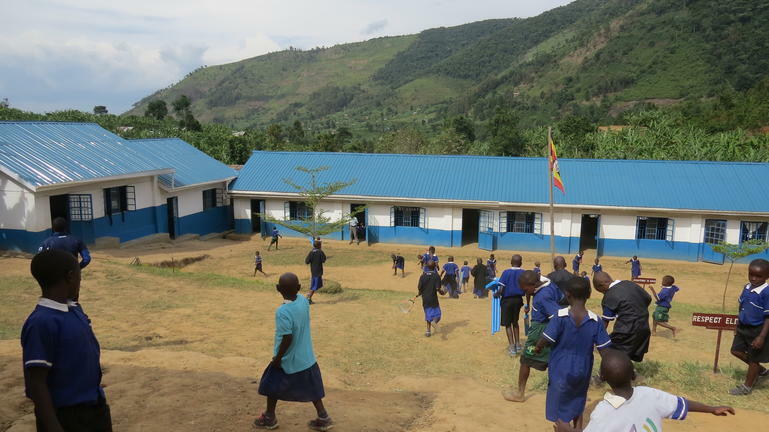 Mahogany Springs is situated in one of the most intimate, secluded, beautiful and, most importantly, natural settings in the world; The Bwindi Impenetrable Forest. 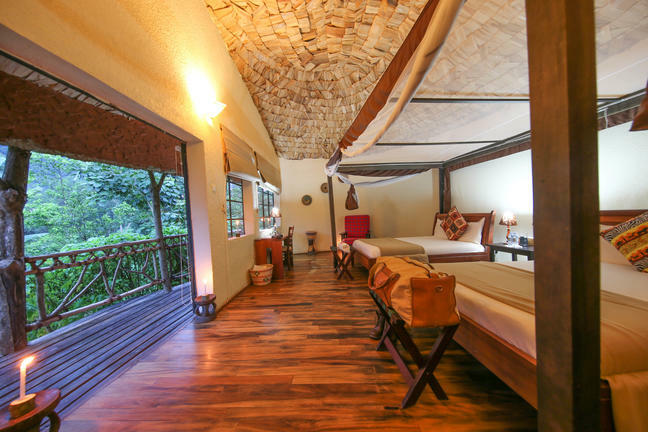 The lodge comprises of eleven spacious suites, including one honeymoon suite and a large family unit which has two en-suite bedrooms and a shared lounge area. The suites boast large double doors and windows opening out to a view of the surrounding forest. Additionally, they each have a private terrace with magnificent panoramic views over the grounds, river and surrounding areas. Each room feature electric power points for easy charging of camera batteries or for hairdryer use as well as a dressing table/desk and large en-suite bathroom with open terracotta shower. For added comfort and peace of mind each suite is fitted with an advanced mosquito net system that wraps around the entire area of the beds. 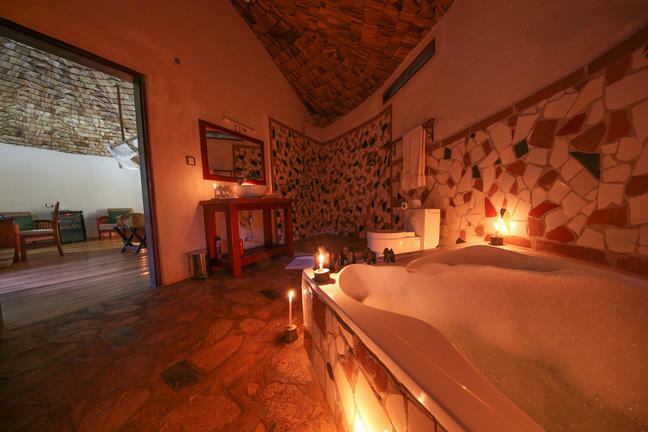 The spacious en-suite bathrooms have a large walk-in shower and flush lavatory. 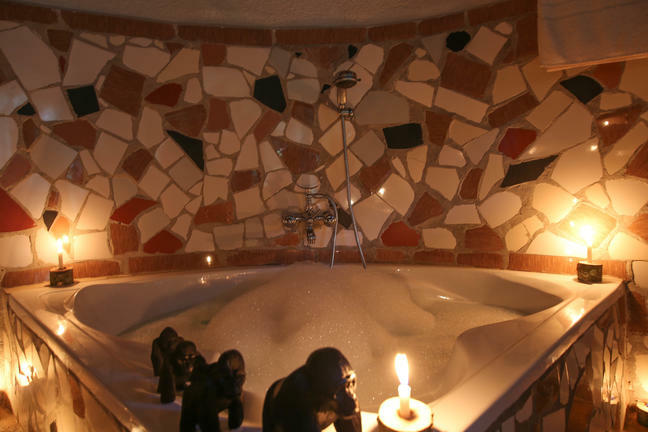 The honeymoon suite also has a luxurious corner bath. The main lodge is elevated to afford views in every direction, farmlands to the left and forest to the right. 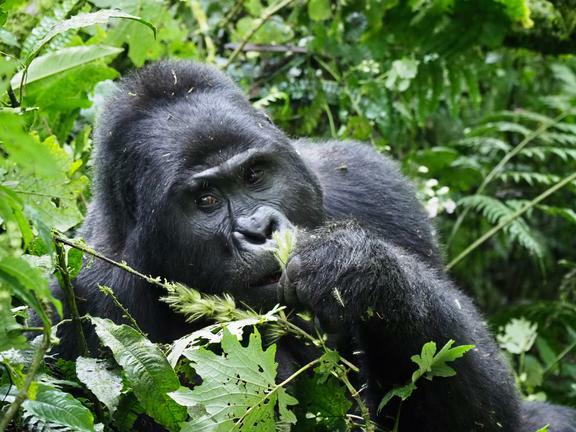 Just beyond the lodge's luscious gardens is a small path leading to the river where gorillas are occasionally sighted taking a drink. Within the main building there is a bar where guests can sample cocktails or simply enjoy a bottle of fine wine or beer soaking in the tranquility of this remote setting. 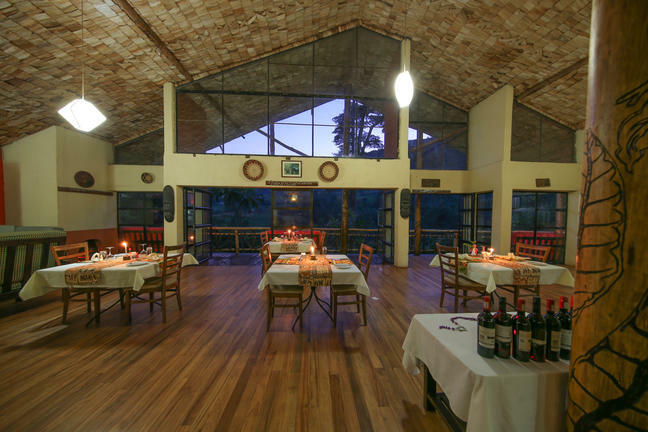 Meals are served in the open plan restaurant which has vast doors which are opened during the day to allow guests to feel immersed within the forest. At night they are closed to keep out insects but the ambiance remains. Food is served by friendly waiters and the à la carte menu is changed daily to offer a wide range of cuisines catering for all tastes. The chef is always happy to discuss alternatives and the staff delight in surprising guests with homemade popcorn and treats to help re-gain your strength after trekking. Most of the produce used at Mahogany Springs is grown on site to provide guests with the freshest ingredients. 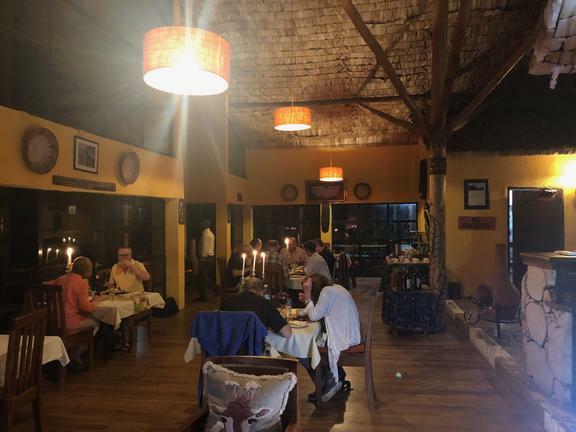 At Mahogany Springs the standard of guest service is one of the highest in Uganda, the management team have been asked to train staff at other properties in the area and you are assured of a professional and friendly service. This is also the only lodge to retain the same manager and core staff from the very first opening and it feels like one big family in which you are always welcome. 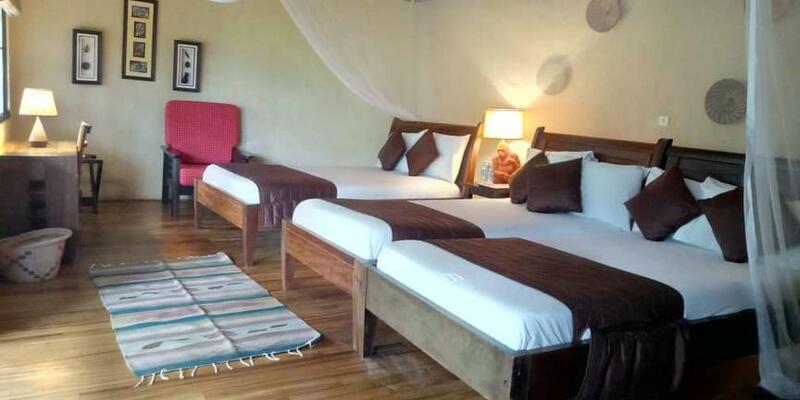 * 6 x Superior suites offered with single, twin/double or triple bed configuration. 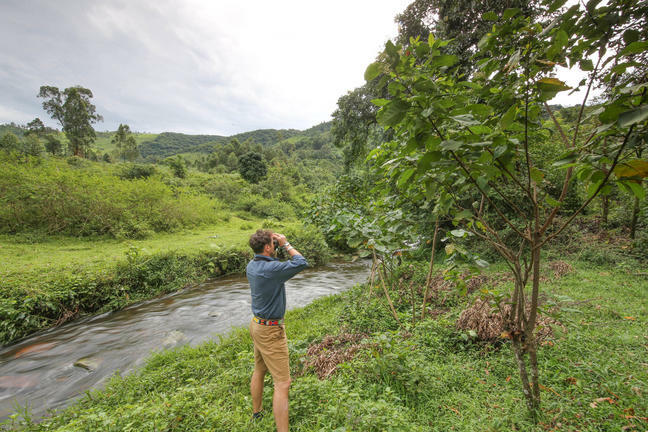 * 1 x River-view suite & 1 x Bird-view suite both offered with single, twin/double or triple bed configuration (these suites are a little further from the main lodge compared to the superior suites). 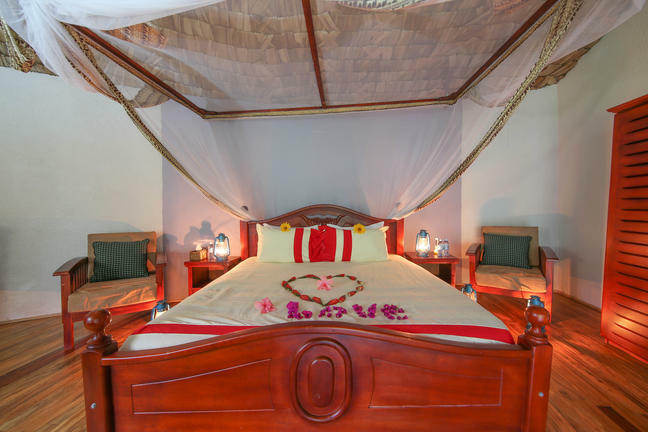 * 2 x Honeymoon suites (queen/double bed only). These suites have a bath tub in addition to shower. * 1 x Family suite (2 bedrooms and 2 bathrooms with a lounge and larger balcony / terrace). It is possible to accommodate extra beds in the lounge area. All rooms have private terraces. 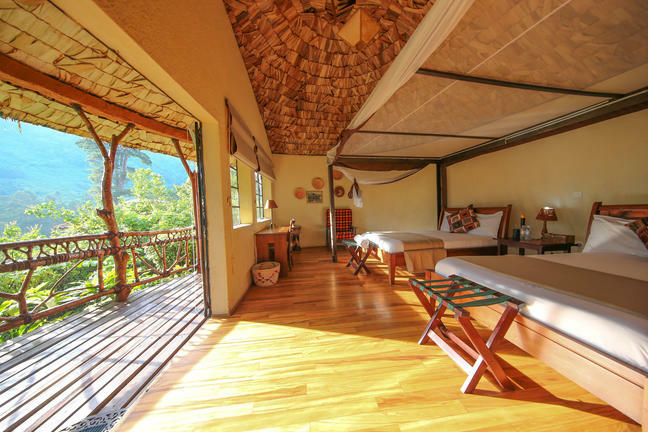 We have 8 Superior Suites/Bandas. These can be single, twin, triple or quad. All have private bathrooms, private terrace, hot water, power points, mosquito nets, luxury linen and are finished to a high standard. 24/7 power. Stunning main building containing a gif shop, beautiful bar, lounge area, restaurant, panoramic raised terrace, and wifi. 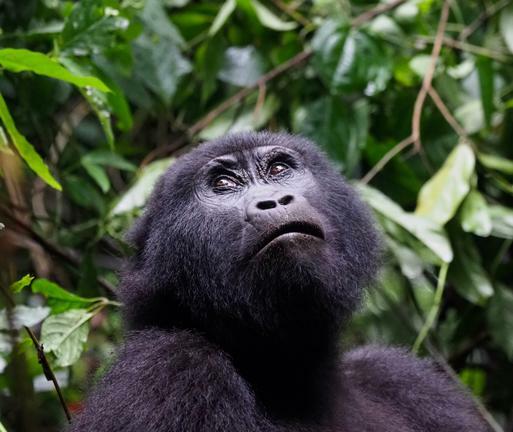 The Gorilla tracking starting point is located just 2 minutes away from Mahogany Springs. This experience will remain in your memories forever and can not be put into words. $600 per permit per day. 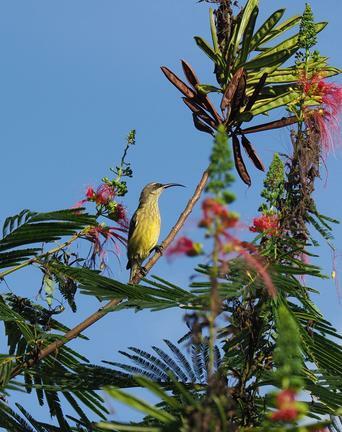 Mahogany Springs is a bird watchers dream. Located on an open piece of land with a river running through. 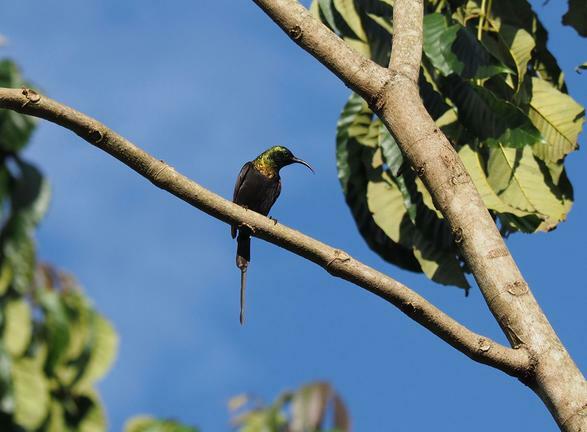 it is the ideal lodge for any keen bird watchers. 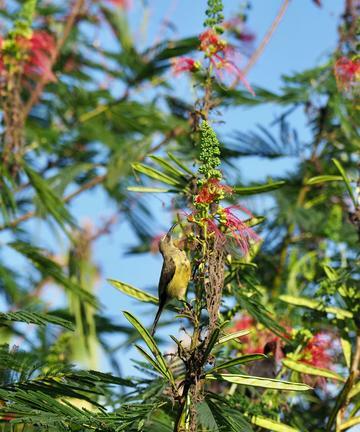 Mahogany Springs also offers complimentary tours around their extensive gardens with their resident bird watching expert. 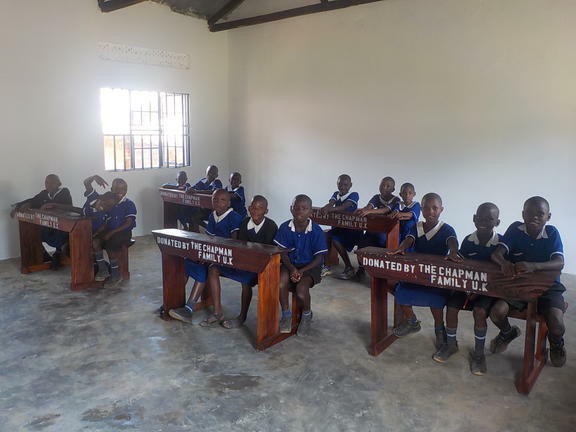 All clients can visit the school free of charge. 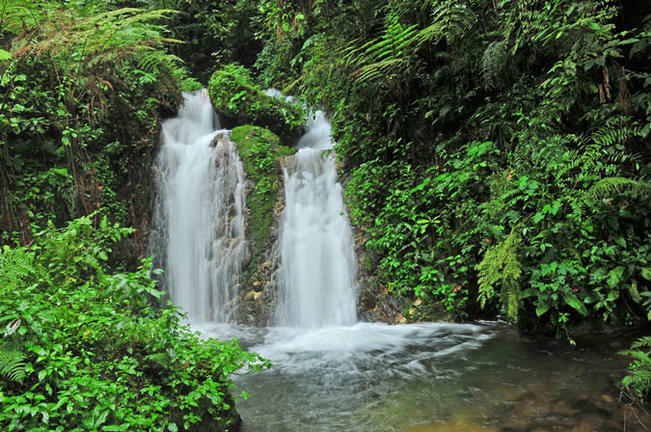 It is 2 minutes away from Mahogany Springs by car or a 7 minute walk. Located around 3 minutes away from Mahogany Springs this hospital is led by a phenomenal team of International doctors. 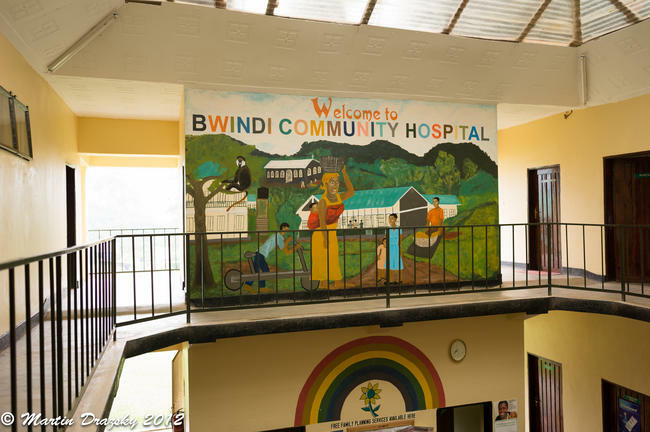 Visit the hospital and learn all about the challenges and accomplishment's of running a hospital in a remote area like Bwindi. 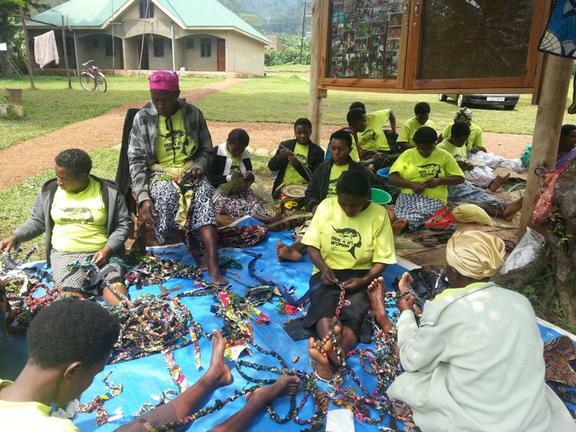 Spend time with the Batwa/Pygmy tribe, one of the oldest tribes in the world. 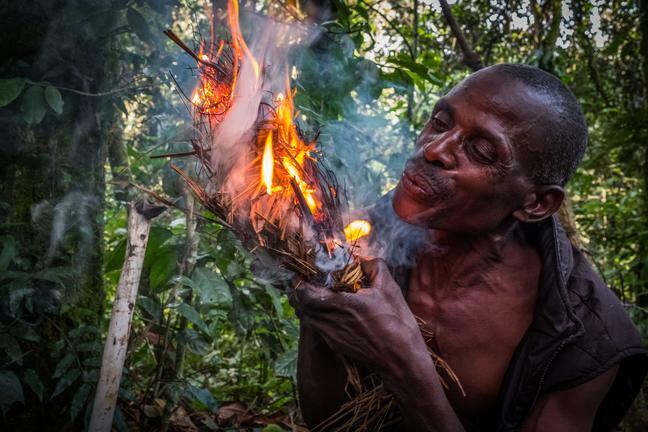 Learn all about their culture and traditions from mock hunting techniques, fire making, tree house building and more. 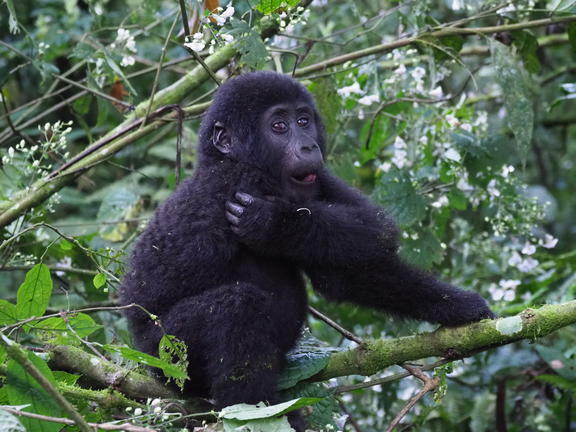 This escorted walk in Bwindi Impenetrable National Park, traces the river up into the park, where 3 beautiful waterfalls can be found along the way. 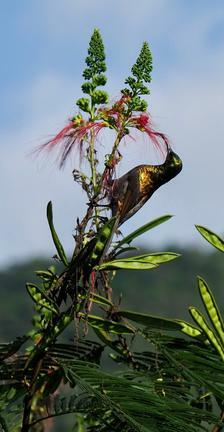 Along the way you will see various wildlife including many bird species. Spend time down by our river. 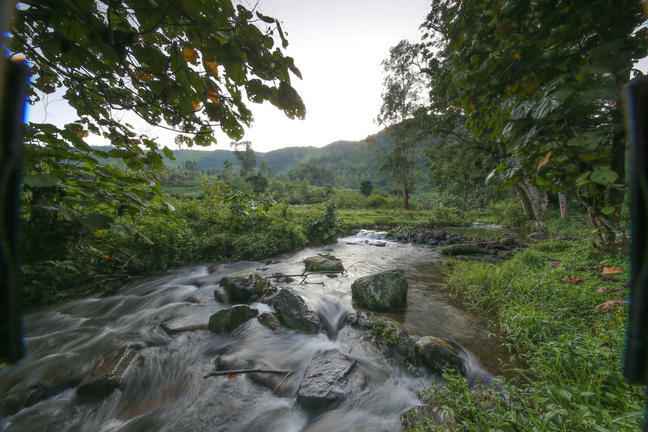 The magical Munyanga river runs through Mahogany Springs. You can go for a lovely stroll along its banks or simply relax with an ice cool drink and let us serve you. 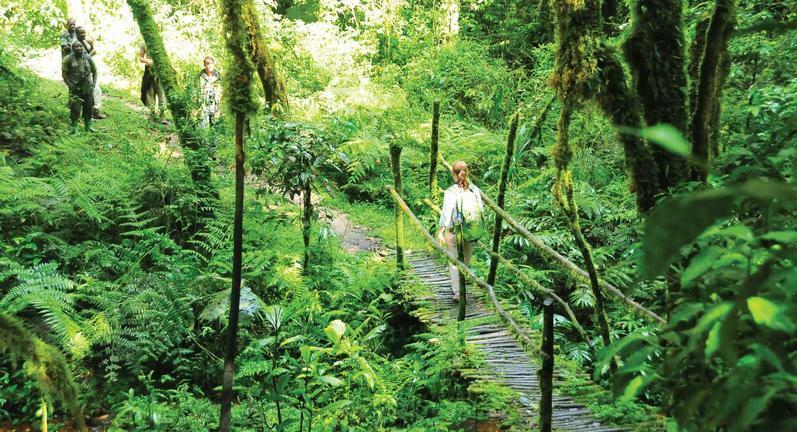 This amazing guided walk will take you all the way through to the South side of the Forest (Nkuringo). 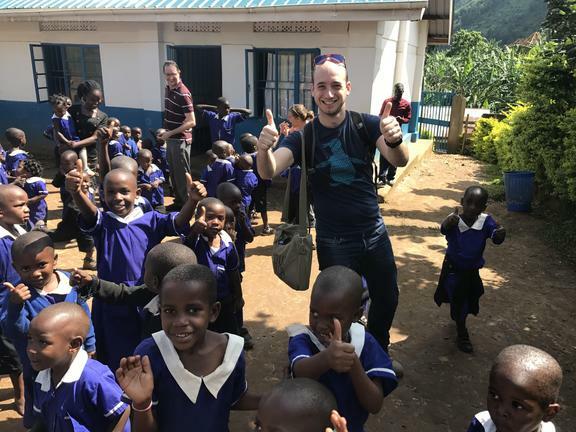 The walk can take 3-5 hours and is an experience never to be forgotten. Your luggage will be carried through the forest for you or can be driven around if you have a large amount. 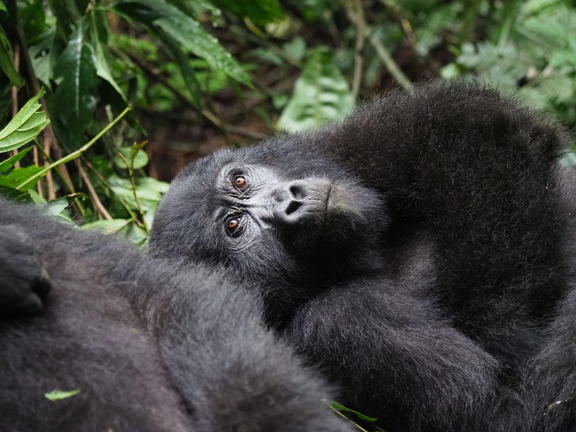 You will then have the experience of sleeping on both sides of the forest which are totally unique with their own views and of course different Gorilla Groups. Our restaurant has both indoor and outdoor dining available. It can be setup for Groups or clients who want private meals. We cater to all dietary requirements. Large eye catching Bar serving a wide selection of drinks and nibbles. 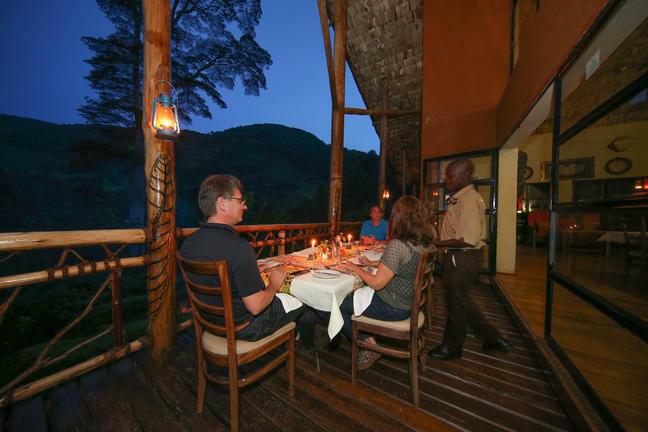 Parkview Safari Lodge is located in Queen Elizabeth National Park in the Kyambura area. 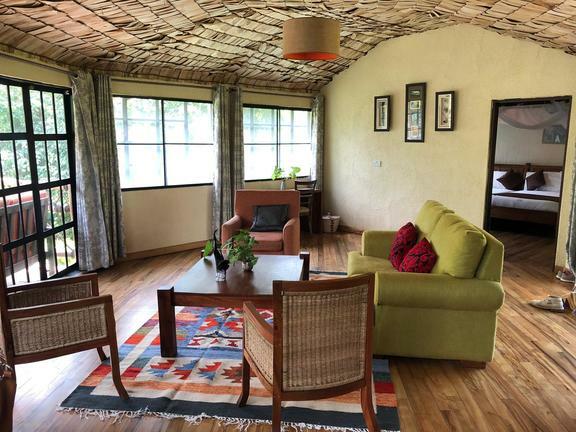 The comfortable en-suite cottages are situated in the lush grounds of the lodge and their private wooden decks offer uninterrupted views of the park savannah. Each cottage features electric power points for easy charging of camera batteries or for the use of hairdryers as well as a large en-suite bathroom. 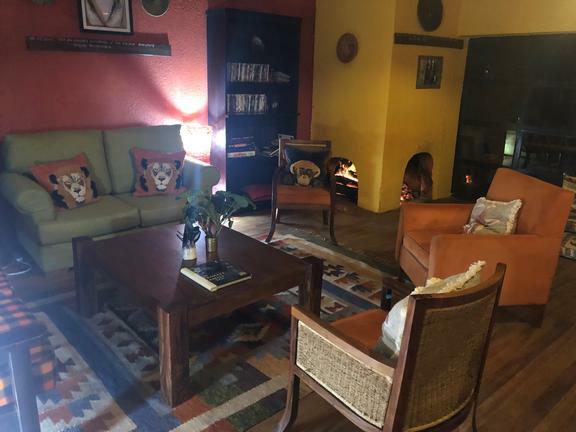 The views from the bar area in the main lodge are simply stunning and it is the perfect place to relax with a drink from the well stocked bar after a day of game drives. 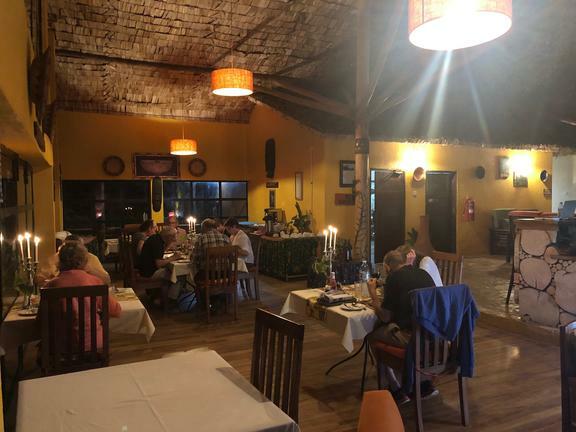 The restaurant has an extensive menu providing both local and international cuisine and there is a large swimming pool, again with wonderful views. Spa treatments are also available at additional cost. 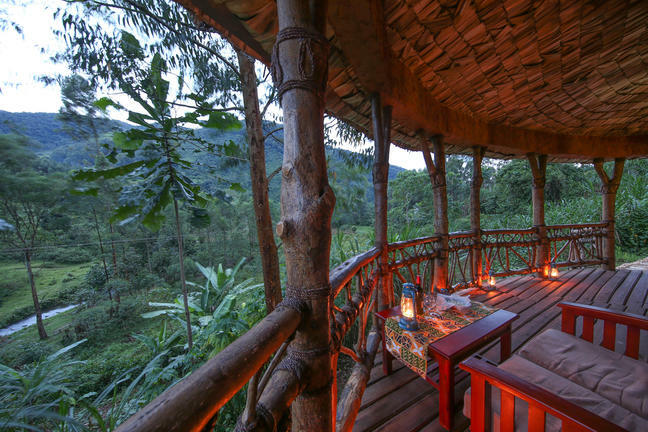 Kibale Guest Cottages are located close to Kibale National Park with views of low moist tropical forest, a few hundred meters from the Park's main tourist centre of Kanyanchu. There are ten cottages all fitted with solar powered hot showers and a private terrace and electric sockets to charge your mobile phones or use hairdryers. 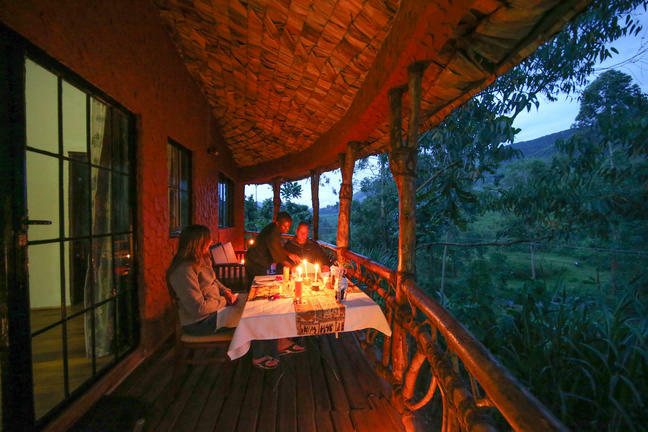 The lodge is basic in style but offers a comfortable and affordable base from which to trek the chimpanzees.